Imagine your chest tightening as you struggle for for breath. There's no cure for it, and it will most likely be a hindrance to your day-to-day life. This feeling is familiar to the 300 million people worldwide who suffer from asthma. In the US alone, one in 14 people has asthma, and ten of them die from asthma every day . For children, relying on symptoms to determine whether an asthma attack is about to happen is particularly difficult. Not only is it harder for them to articulate their discomfort, it's less likely that they will be able to attribute it to asthmatic symptoms. Charvi Shetty, an entrepreneur and former neuro-radiology researcher at UCSF, might have found an unlikely solution to keeping children out of the ER for asthma attacks. 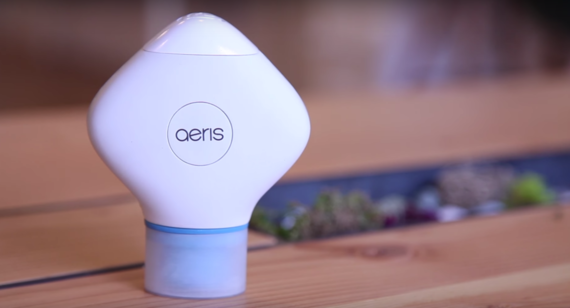 Shetty's San Francisco-based startup, KNOX, has recently developed Aeris, a hospital-grade portable device that connects to your smartphone. The device interacts with an iPhone game, where a hot air balloon blasts to different cities every time a child blows through it. It then collects information for parents about the child's lung health compared to people of similar age, body weight, ethnicity, and other relevant traits. "Our device has been shown to ensure a proper lung test with a technology that can alert parents about lung issues up to two weeks before usual symptoms appear," says Shetty. "Early detection notifies the parent to take action and start the treatment process, significantly reducing recovery time." 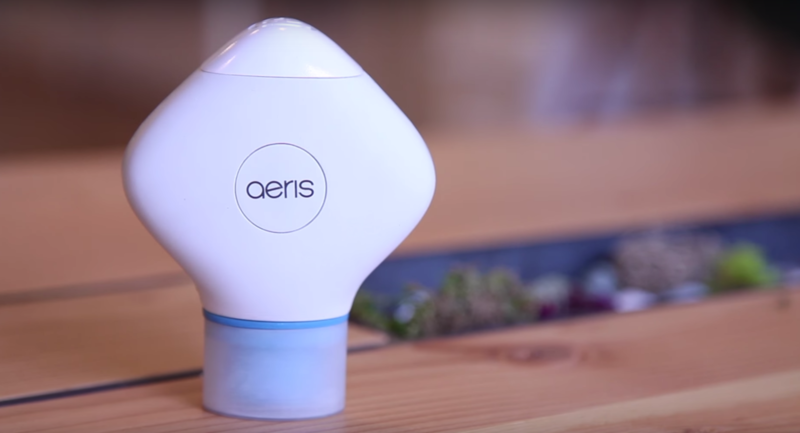 With its gamified solution to child health monitoring, Aeris has the potential to mitigate the laborious process of keeping track of a child's asthmatic symptoms. Shetty hopes that this will help increase at-home engagement from children and their parents, which in turn may preempt costly visits to the ER for unexpected asthma attacks. "When we talked to a 7-year-old about lung measurement, he wouldn't talk to me at all," says Shetty, "but once I brought up the game, his eyes literally lit up!" A 2012 survey from the CDC stated that more than 10 million U.S. children were diagnosed with asthma. Many of these children visit the ER at least once a year and some visit dozens of times. With KNOX, Shetty hopes to bring down the costs of ER treatments in the long term. KNOX recently won the prestigious National Science Foundation of $225,000 to further develop their products, and Aeris just finished a validation study with 66 children at UCSF Benioff Children's Hospital. "We are honored and excited to win this award," says Inderjit Jutla of KNOX, "Now we have our sights set on getting to market as soon as possible and will soon be seeking FDA clearance in hopes of bringing our potentially life-saving device to homes in early 2017." This piece was originally published on Breaking Hoops, a blog about innovators making a positive impact in the world. Sign up for the monthly newsletter here or like the Facebook page to stay up to date with the latest stories.